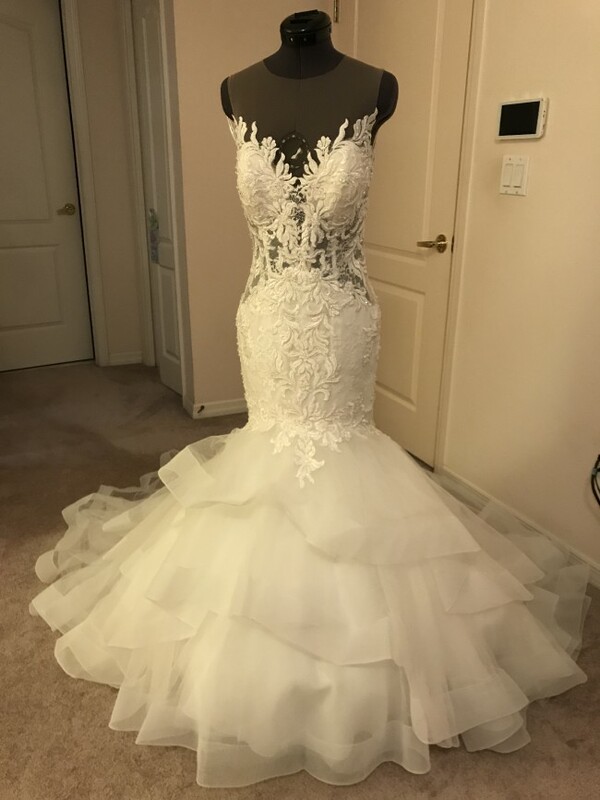 Brand new, Randy Fenoli, wedding dress - style name: Collins. Never worn or tried on. Enough fabric to be let out up to two sizes. Hollow to hem is 55". Comes with modesty panel.